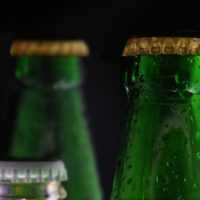 Can Businesses be Held Liable for Drunk Driving Incidents? More than 30 states have laws making businesses criminally or civilly liable for serving alcohol to “visibly intoxicated” customers. So in many cases, people who are injured by drunk drivers can sue the alcohol vendor for damages. Florida, however, is not one of those 32 states, unless the patron falls into a certain category. Under Florida law, businesses can only be held civilly liable for serving alcohol to underage patrons or to people who are “habitually addicted,” which can be a difficult standard to prove. The business owner or employee had to know about the person’s addiction. Even a suspicion that the person might have a problem probably wouldn’t suffice. The liability standard is not as high for patrons who are injured in alcohol-related incidents while on business property. Business owners have a duty under Florida law to protect customers from reasonably foreseeable risks, including fights and falls. But that liability ends as soon as an intoxicated person leaves the premises — unless the standard described above is met. After 21-year-old Felipe Medina was killed by a drunk driver, his friend Vanessa Barbella, who was badly injured in the accident, filed a personal injury lawsuit against the two establishments that served alcohol to 30-year-old Justin Spencer. The Medina family also filed a wrongful death lawsuit. The night of the accident, Spencer drank alcohol at the Chili’s restaurant in Lake Mary where he worked and The Hammered Lamb. The personal injury and wrongful death lawsuits allege that Spencer was already intoxicated when Chilli’s and The Hammered Lamb served him drinks. Barbella and the Medina family say they have enough evidence to satisfy the state’s “habitually addicted” standard for civil liability. Barbella was on Medina’s motorcycle when Spencer turned into them. According to the police report, Spencer’s blood alcohol content was almost three times the legal limit. A Breathalyzer test after the crash showed his BAC at 0.237. If you were injured by a drunk driver and suspect that a business establishment could be liable under Florida’s “habitually addicted” liability statute, contact an Orlando personal injury attorney at The Pendas Law Firm today for a free consultation. We will help you determine if you have a viable personal injury or wrongful death lawsuit and help you receive the compensation that you deserve. The Pendas Law Firm also represents clients in the Fort Lauderdale, West Palm Beach, Fort Myers, Miami, Jacksonville, Tampa, Daytona Beach and Bradenton areas.